Marketers’ relationship with real-time marketing is not unlike the one the Beatles evoke in their 1970 hit single. Like the eponymous road in the Fab Four’s ballad, real-time marketing is something marketers keep coming back to. It’s a vision most are chasing, even if one that fewer are actually realizing. 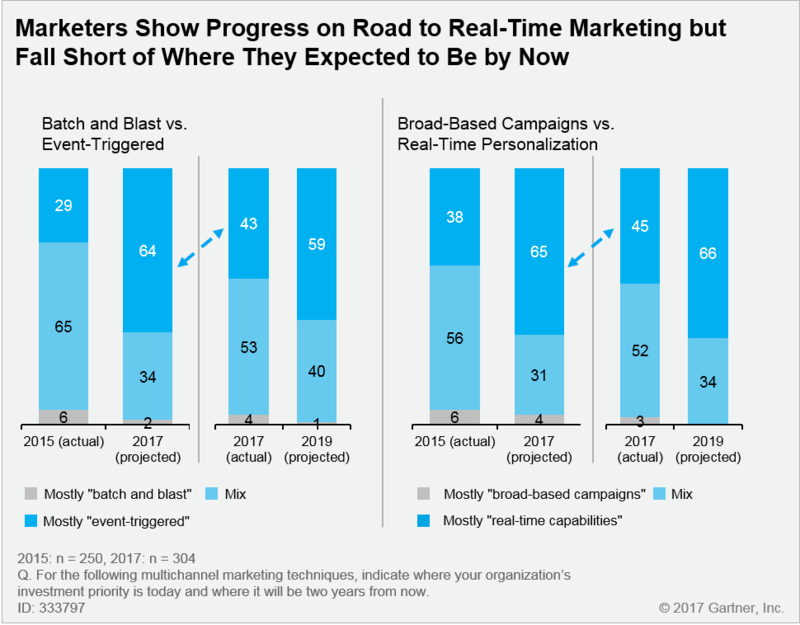 Progress on the road to real-time marketing epitomizes what we describe in “Multichannel Marketing Effectiveness Survey 2017: Marketers Are on a Mission to Advance Multichannel Marketing Results” (Gartner client subscription required) as multichannel marketers’ unfinished business. Nearly 40% of the marketing leaders we surveyed recently say that reaching audiences at the right moments using advanced techniques continues to be their top multichannel marketing challenge. Simply put, they’re still striving for relevance in core customer engagement moments. Implementing event-triggered marketing techniques constitutes an important step on the road to real time. This involves identifying and leveraging contextual interactions that occur in response to detected events, such as clickstream behavior or transactions. These kinds of events act as signals for timing and targeting offers and experiences. Through their relevance, these events respond to both marketer and customer needs. At the other end of the spectrum are batch-and-blast campaign initiatives, which have limited effectiveness for marketing and bring correspondingly little personalization to the customer experience. Less than half of respondents (43%) characterize their current efforts as “mostly event-triggered.” That’s up from 29% in Gartner’s 2015 Multichannel Marketing Survey, but the fact is, these capabilities are still emerging in most organizations. Marketers are further along than they were two years ago, but they haven’t reached the levels they expected to be at by now. Looking two years down the road, they anticipate being in roughly the same place as they expected to be today. Personalization is an increasingly popular — and strategic — tactic that leverages data, content and a range of marketing technologies to improve business results across the customer journey. The near-term indicators, identified in Gartner’s “Predicts 2018: Brand Relevance Under Fire, Automation on the Rise” (client subscription again required), are significant. We expect that by 2018, organizations that have fully invested in all types of online personalization will outsell companies that have not by more than 30%; by 2020, 90% of brands will practice at least one form of marketing personalization. It’s not for nothing that my colleague Kirsten Newbold-Knipp has written a research note entitled “The Future of Marketing Is Personal” (yep, you guessed it, client subscription required). A dynamic similar to multichannel marketers’ event-triggered marketing capabilities applies to their real-time personalization efforts. Forty-five percent of respondents say their marketing mostly involves real-time personalization. The good news: That’s up from 38% in 2015. The not-so-good news: Two years ago, 65% said they expected to be at that level by this point. Now, respondents project they will not reach that threshold for another two years, suggesting that they need more time on the long and winding road. It may be that marketers have underestimated the challenge of evolving processes and technologies while executing their day-to-day marketing tasks. Having an identified multichannel marketing leader contributes to greater maturity around both event-triggering and real-time personalization, our research indicates. In organizations where respondents are solely responsible for their company’s multichannel marketing strategy and execution, 58% say their current efforts are mostly event-triggered (versus 43% for the survey average), while 61% say their marketing mostly involves real-time personalization (versus 45% for the survey average). 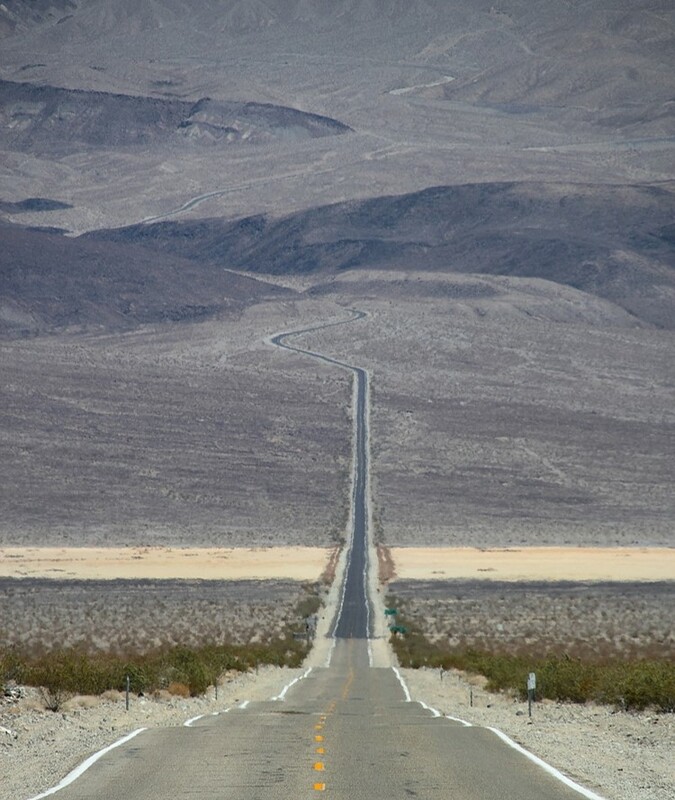 What to make of the lengthy journey marketers have been taking on our winding road? One implication is that marketing technology has helped marketers identify customer problems, but it hasn’t fully helped them solve these problems at scale — a goal more difficult to attain than many assume. Another related implication is that marketers can go astray by focusing too heavily on tactical execution, such as using marketing technology to automate faster responses at the expense of improving customer understanding. Both are essential elements in successful multichannel programs, but effective real-time, personalized marketing really depends on customer insights. Where to go from here? You need to identify and prioritize events that are meaningful to both the customer and your business, ensure you have detection tools in place across multiple channels to effectively monitor multiple events, and collaborate with peers across the business to optimize event-triggered marketing. Keep your eyes on the road ahead of you, and focus on delivering progressively tailored experiences for your customers. You’re getting there!